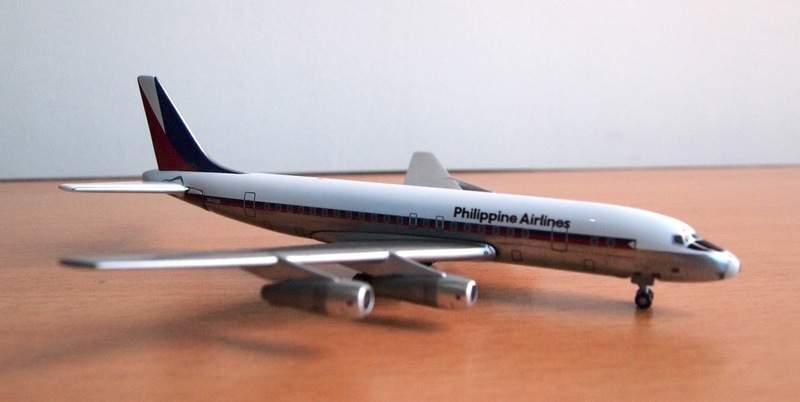 The Douglas DC-8 was developed in 1955 as a competitor to the Boeing 707. The 4-engined jet entered service with the Philippine Air Lines in the 1960s, servicing routes to the United States and Europe. Here's the side by side pictures of the two cargo aircraft that I have in my growing collection, the Boeing 747 Dreamlifter and the Airbus A300-600ST Beluga. Last weekend I visited a hobby shop while in a trip to Bangkok, Thailand. 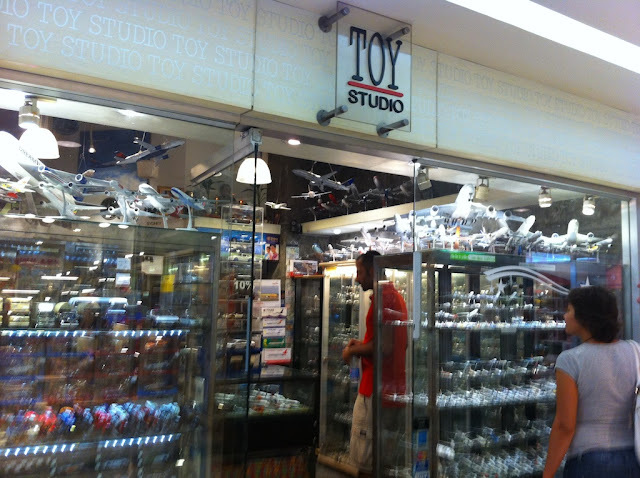 The shop is named Toy Studio, and it is located at the second floor of the MBK Mall in downtown Bangkok, right along Sukhumvit road. The store is not very large, about 20 ft x 20 ft, but it is brimming with die-cast toys in all sizes and shapes. The glass front has shelves that contain a vast number of planes and cars, including 1:100 sizes. They also carry most of the notable brands: Herpa, Gemini, Hogan, Dragon Wings and Phoenix. Most major airlines are represented, as well as the more obscure ones. I also saw some die-cast military aircraft in 1:200 and 1:44 scale. Boeing and Airbus have been competing in the passenger jet market since the 70s, and until 2007, Boeing ruled the wide-body arena with its 747 airliner. Airbus finally came up with an answer, the A380, which became the largest passenger airliner in the world when it was introduced. Not to be outdone, Boeing also updated the 747 by introducing the 747-8 Intercontinental. I finally got both models this year.